You don't need light coloured eyes to be gorgeous. Brown is a beautiful eye colour too! These tricks will help them shine so you can stand out with your lovely doe eyes. The first step to make any eye stand out is dealing with the rest of your face. Make sure to clean up your brows and have a good clean face to work with. Trick #1 Give up the traditional smoky eye: Rather than trying to use harsh blacks and whites, if you do a gold smoky eye we guarantee your brown eye will stand out and be jaw dropping beautiful. Trick #2 Metallic Eyes: If you use metallic eye shadows & eyeliners around your brown eyes it will make them pop! The reflective shimmer is the perfect contrast for a dark eye color. 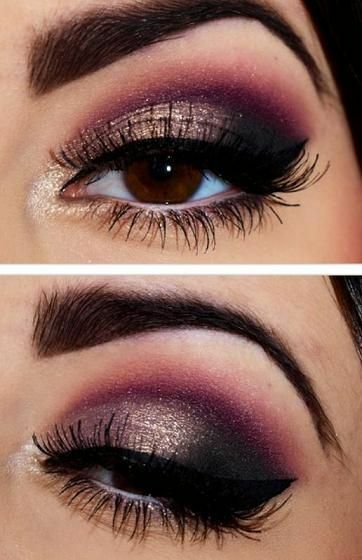 Trick #3 Purple Eyes: Believe it or not, but the color plum with brown eyes is fabulous. We don't ask questions, we just do it and love it. Trick #4 Highlighting Eye shadows: This should come as no surprise. Highlighting the inner corners of your eyes and brow bones with a champagne eye shadow will make your eye open right up causing your brown eyes to stand out. Trick #5 Avoid brown eye shadow at all costs: You can essentially make any color eye shadow work with brown eyes except for brown colors or anything close to that. Trick #6 Use that Concealer: Put concealer around your eyes to mask the dark circles if any have formed. Make sure to use a shade that is one step lighter than your natural skin. Trick #7 Experiment with colourful eyeliners: Play around with bold coloured eyeliner, you may find out you love certain colors. 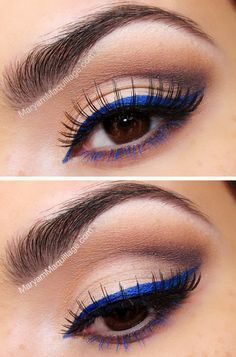 The cobalt blue has been the biggest hit, but emerald and bright purple eyeliners are also highly recommended. You'll never go back to black. Trick #8 Be Smart with Mascara:Mascara makes any eye appear large, it's good to put some on the bottom lashes, just be sure not to overload because it could actually take away from your eyes. Which is certainly not what we want! 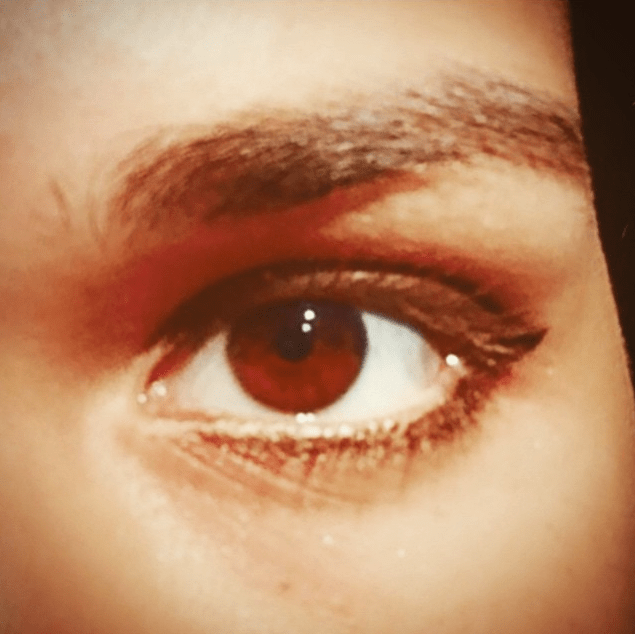 Stick to black, brown can get washed away in your brown eyes. (Eggplant mascara is also a great color to have). If you've found any other tricks that make your brown eyes stand out â€“ let us know!